What Drinks Are Good for Diabetics? Don’t undo a good day by drinking something you shouldn’t! Having diabetes can significantly alter the way people view eating and drinking. This means that many people question what drinks are good for diabetics as well as foods because the choices made make a significant impact on overall health. The basics of managing what diabetics can drink and eat revolves around the amount of carbohydrates consumed and how frequently. Carbohydrates play a major impact on blood sugar levels and the lower amounts of carbohydrates consumed the less likely it is for blood sugar levels to rise. 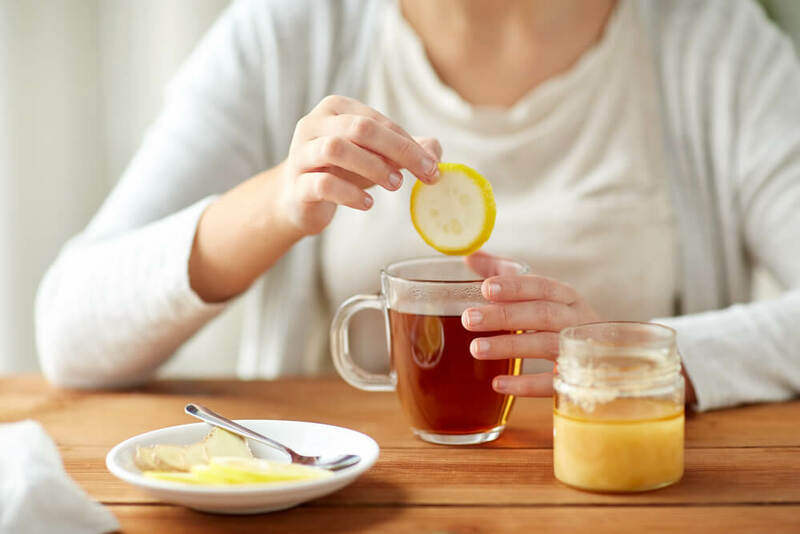 Here we’re going to go over what drinks are good for diabetics, can diabetics drink coffee and what are the best recommendations to help individuals avoid nasty side effects and stay healthy. Click here to learn 5 health benefits of drinking tea. When it comes to what can diabetes drink… The best options are water, unsweetened tea and coffee, tomato juice, V-8 juice or milk. Staying clear of drinks that are considered to be low-sugar is also smart because they still contain a lot of carbohydrates that can significantly alter blood sugar levels. Aiming for zero or low calories drinks when water isn’t an options is the best way to maintain blood sugar levels. Continue reading to learn about what drinks are good for diabetics and why. Water is the best choice for any person, with or without diabetes. Water ensures that your body is hydrated, it has no calories and it can help clean your body of impurities. Water will never elevate blood sugar levels and will allow your body to function properly and feel good. Drinking plenty of water throughout the day can help the body eliminate extra sugar that is built up through urine. Here are a few tips to help add to your water to make it a bit more flavorful. Can diabetics drink coffee? Of course they can! There have even been studies that show that drinking coffee can help reduce the development of type 2 diabetes. Just like tea, it’s best to drink coffee without sweetener because the more you add to your coffee the more carbs will be consumed and carbs play a large roll in managing blood sugar levels. If you must add some sweetener, choose a sugar that is recommended for diabetics and make sure to follow the serving size, don’t overdo it. Such as V-8 or tomato juice is the best option for juice lovers because normal fruit juices are packed with sugar. Making smoothies with vegetables mixed with some berries can be a great way to load up on nutrients. When selecting milk, choosing low-fat, unsweetened milk is the best way to limit the intake of carbohydrates when it comes drinking milk. Milk should also be limited and adding in nut milk or dairy free milk can be great alternative but be careful with rice milk or soy milk because they do contain carbohydrates. The best drinks for diabetics revolve around low carbohydrates and low sugar. Reading labels and researching which drinks are the lowest in carbs and sugar can help maintain healthy weight and low blood sugar levels.